All the Money in the World Review | Dollar Dollar Bill Y'all. Money pervades Ridley Scott’s All the Money in the World. Desperation for money is thwarted by the desperation to keep it. The lack of it is weighed up next to the excess of it. People deceive in the name of it and work to pursue different degrees of it. It is never satisfying, and a hubris accompanies any level of it. 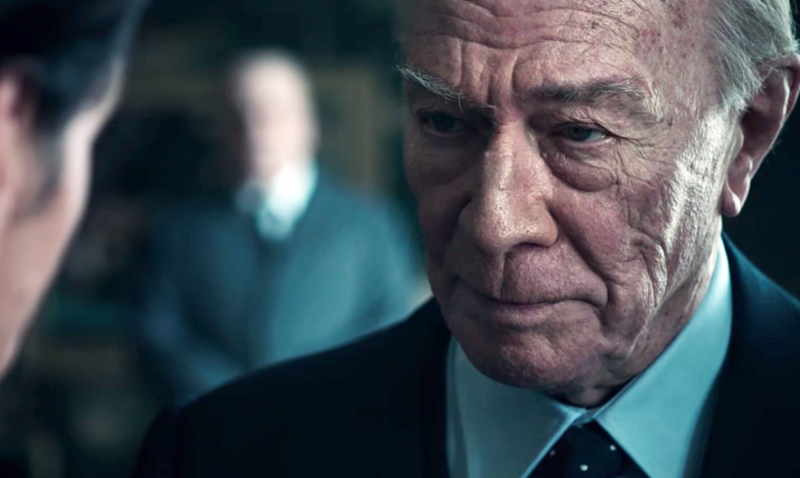 That money is so important to a movie called All the Money in the World may be stating the obvious, but the title doesn’t exclusively elude to the wealthy, like Christopher Plummer‘s Jean Paul Getty. The title is not just a figure of speech or a hyperbolic statement about Getty’s billions and the financial opportunity that such a fortune allows. It also refers to all the money in the world, not figuratively, and the power it has over everyone from the filthy poor to the stinking rich. With the natural exceptions that follow every rule, that power has been a constant since money has been something. Give Ridley Scott a great script and he’ll make a great film. Give him a bad script and he’ll make a bad one. Scott is a hell of a director but he’s not the sort that can polish any manner of stone out of a turd, which is why the man responsible for films like Alien, Blade Runner and The Martian also has Exodus: Gods and Kings, The Counsellor and A Good Year to answer for. 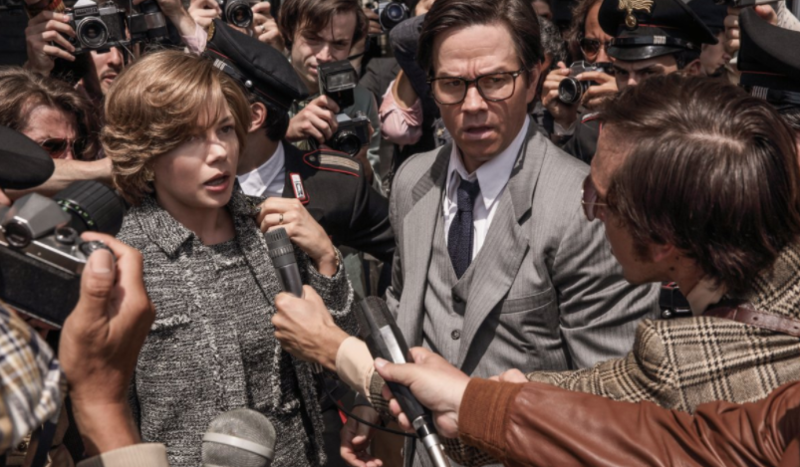 All the Money in the World benefits from a good script, not a great one, which Scott steers with the sort of command you might expect from someone with a production pace that rivals Woody Allen’s. The film is propelled by two central performances, both strong, by Plummer as Getty and Michelle Williams as his daughter in law. Mark Wahlberg is also effectively restrained as an ex-CIA agent who gets caught up in their affairs. Also important is that All the Money in the World is based on a true story. The fundamental mechanics of the story are unremarkable to anyone with even a fleeting interest in fiction, though this is not fiction. A boy is kidnapped and held for ransom. What makes this story remarkable is one of the central figures in that story, and how incompatible his thinking process is with ordinary personal relations. Jean Paul Getty was once the richest man in the world. At his death, his fortune was estimated at more than six billion dollars, a figure that soars when adjusted for inflation. But despite his wealth, Getty was notoriously frugal. It takes a certain type of personality to make a fortune, which is why so many rich people continue to work despite having enough money to live comfortably a million times over. Jean Paul Getty famous negotiated the ransom of his kidnapped grandson. It’s not a new sentiment to suggest that money is a drug to some people. It’s often most important to those who have most of it. Hopefully, Getty is a man outside the realm of possibility or comprehension for the most of us. Gail Harris (Williams), the mother of Getty’s kidnapped grandson, Jean Paul III (Charlie Plummer, no relation to Christopher), doesn’t share the elder Getty’s fascination for income. He does his own laundry in his hotels to save coin. She throws away potential lucrative child support when she divorces her husband, a Getty, on the proviso that she receives full custody. At the heart of All the Money in the World is the inability for the greed of fortune to reconcile with a mother’s love. They are ferocious contradictions. Scott ought to steer clear of his recent fondness for broadly sweeping large scale productions with vague religious allegories. All in the Money in the World is an example of what he is capable of when tasked with a more focused idea. There’s no room for Milton quotes or biblical references in Getty’s world. There’s only room for money, or the lack of it. But money penetrates even the places where it’s lacking, otherwise Jean Paul III wouldn’t have been kidnapped.